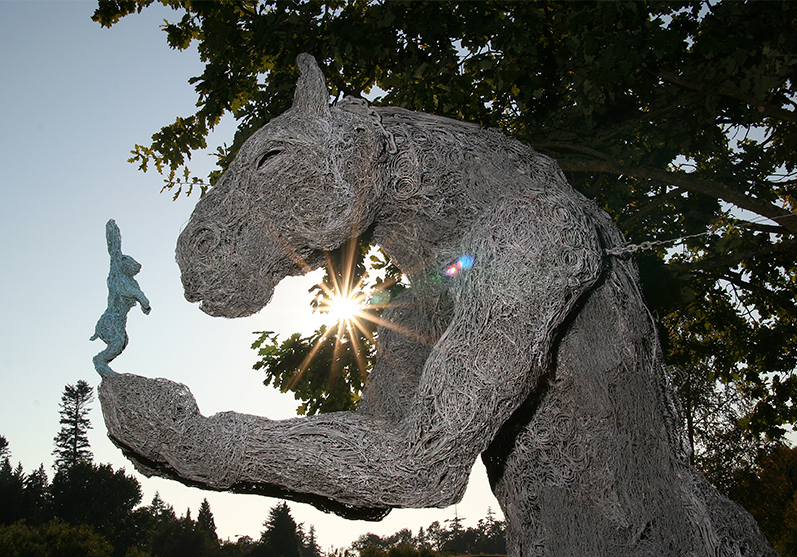 Sophie Ryder is one of Britain’s leading sculptors. Her work uses monumental animal forms and mythological creatures to explore human emotions and gendered identities. The sculptures she creates are a manifestation of her thoughts and emotions. Inspired by Picasso, Goya and Henry Moore, she developed the Lady Hare with a female human body as a counterpart to the mythological Minotaur from Ancient Greece. The Lady Hare has become an iconic marker of Sophie’s sculptural practice. Sophie Ryder studied Combined Arts at the Royal Academy of Arts, London. Her works have been widely exhibited across Britain, Europe, Canada and the USA.